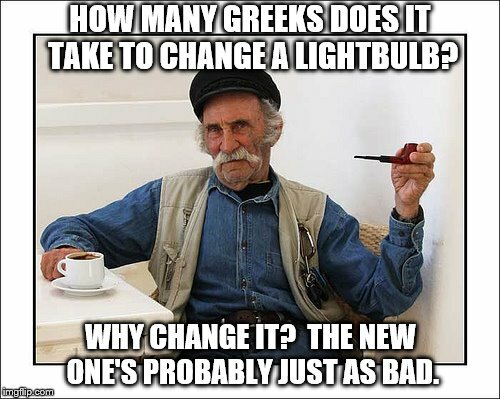 HOW MANY GREEKS DOES IT TAKE TO CHANGE A LIGHTBULB? WHY CHANGE IT? THE NEW ONE'S PROBABLY JUST AS BAD.